CRMDocs™, part of our CRM Suite of products, is a system inventory, documentation, and optimization tool for your CRM System. CRMDocs inventories and cross-references your customized Oracle CRM, in real time, with a single click. Regardless of attrition or faulty documentation, you'll never again spend time re-discovering how your system is configured, how many fields you have available, or how your company wants a field to be used; CRMDocs helps you extend your system and improve your return on investment (ROI). No other product out there works like CRMDocs. Automatically inventory and cross-reference your objects or record types, fields, page layouts, workflows, related information, users, roles, and CRM. Quickly identify unused fields or misleading field designations in summary, and detail. Capture metadata on key characteristics of objects, fields, and forms: types, users, workflow participation, how the element should be used in your business environment. This information will appear in help screens for users, and in richly detailed reference information for administrators within CRM. 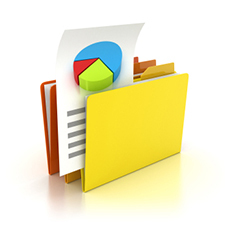 Centralize your document storage for additional supporting documents. The ability to link to those documents from different layouts helps ensure that users always have the information they need, no matter where they are in the world. Standardize the look and feel of your new layouts, specify what information you require when you document a field, or use templates to dynamically gather all the values used by pick lists as reference when you create a new pick list. CRMDocs is included in each subscription of CRM Suite, for early adopters. Subscribe to CRM Suite, and you get both products (CRMDocs and CRMRepos) for one low price. Don't have time to document your system? Contact the isolvIT team, and learn about all the ways we can take the time consuming things you need done, off your plate. CRMDocs provides excellent insight into Oracle CRM On Demand system set ups. With our 100+ roles, 100s of layouts and 1000+ workflows, CRMDocs makes it easy to determine which role are using a field on what layout and whether a workflow is being triggered based on it. Prior to CRMDocs, we were keeping track of some of this information manually in a huge Excel spreadsheet which was inconsistently kept up to date. Not the way we wanted to manage a multinational single instance implementation. CRMDocs pays for itself in the time savings in being able to know what the set ups are and how proposed change the businesses using CRM. – BT, a customer at large global provider of heating, air conditioning and refrigeration solutions for residential, industrial and commercial applications.